Fulbridge.org is happy to showcase the winners from their very first photography contest: Capture Your Placement. 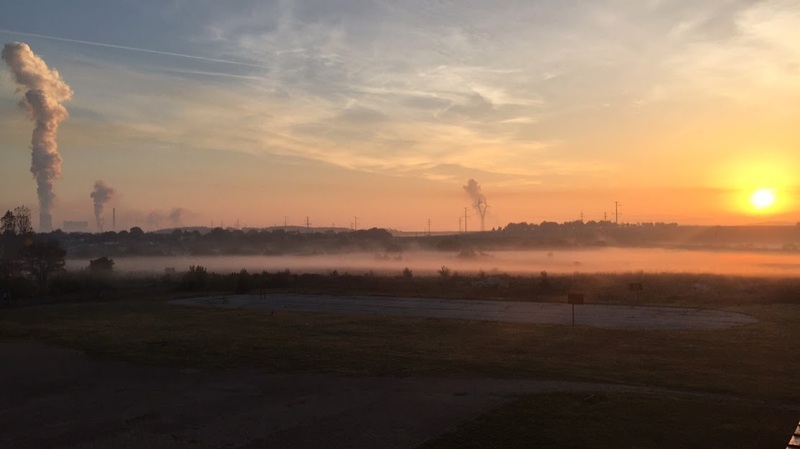 Applicants were asked to submit a photo and and a brief summary describing how the photo illustrates, captures or symbolizes life in their placement. They received submissions from all over the world and are very excited to share the 10 winning photos with us. Indonesiaful has republished this through a partnership with Fulbridge. Galabovo, Bulgaria, a rural town known for the surrounding coal power plants, is on the cusp of Bulgaria’s economic transition. But what determines Bulgaria’s future is not necessarily outside this window but on the inside. Conveying the importance of environmental stewardship to electrical engineering students is not as easy as a simple glance – like this photo – outside the 3rd floor window of my placement’s school. As an ETA here, every day is more than just teaching the basics of English. It’s also the foundations for a healthy habitat. 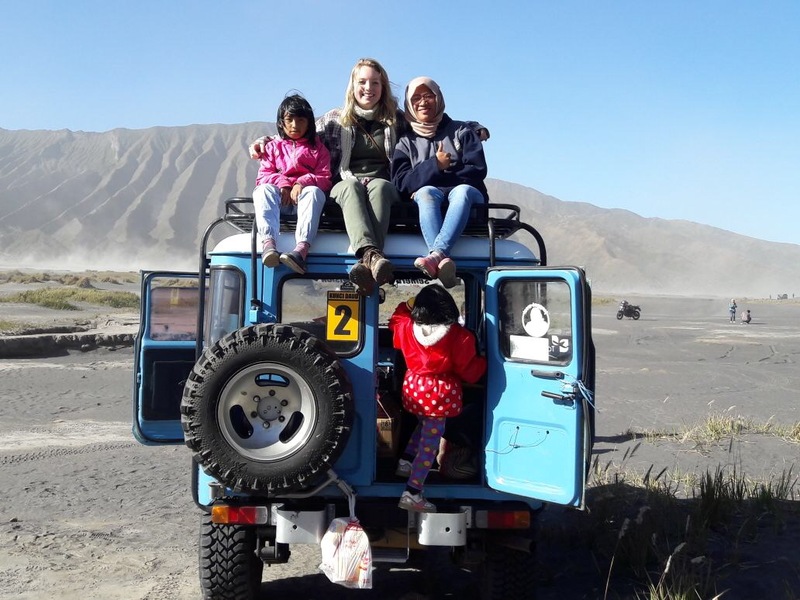 My placement is in Malang, the closest city to the famous Bromo volcano. So, when some teachers invited me, I jumped at the chance to go, even though I had no idea what the trip would entail. We packed nine people into this little jeep and left at 1 a.m. We drove for four hours, watched the sunrise, ate fried chicken that the women packed, went off-road into the sand, climbed on top, and danced. This epitomizes my Fulbright experience so far: things don’t usually go how I expect them to, but that doesn’t make them any less incredible. This photo was taken at a village in Malang, Indonesia. For me, this photo captures much of what makes Indonesia so beautiful. A relatively young country imbued with traditions outdating memory, Indonesia and its people smile upon their visitors with unparalleled kindness and warmth. 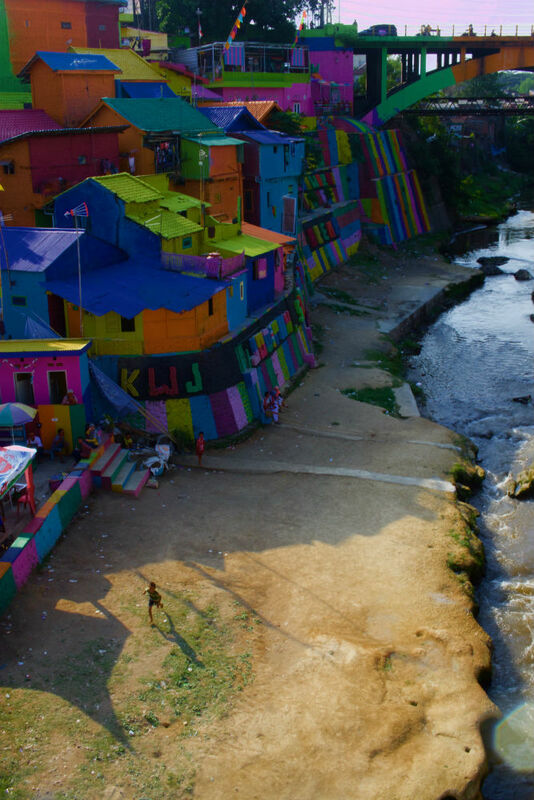 In the middle of this mid-sized city, tucked among the volcanic hills of East Java, houses are stacked upon each other, tumbling in unison down the hill, spilling into each other, their vibrant colors basking in the afternoon glow. Children kick up dirt playing by the river, their shadows cast longer by the setting sun. 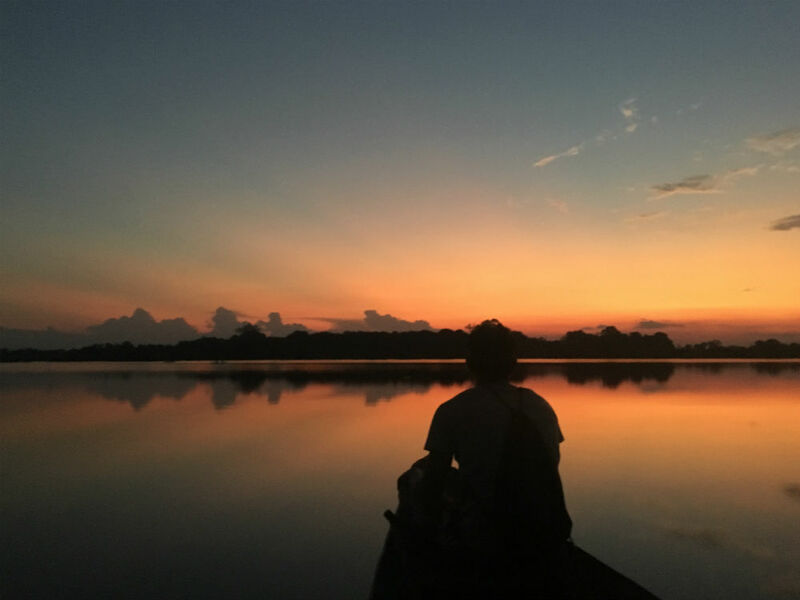 This could be anyone going somewhere, but it is my guide, Sean, on an Amazonian tributary. Although my placement was Aracaju, I see Sean’s story reflected in the Northeast, and universally. Many Aracajuanos are the descendants of people who migrated from the arid Sertão in search of a better life. At a friend’s grandmother’s 93rd birthday party, someone asked her how she celebrated in the Sertão when she was young. She worked, she said. Before migrating to Manaus, Sean mined gold from a young age in Guyana. In Brazil I’ve developed a deep respect for people’s suffering. This photo was taken within three days of getting to my placement. As I sat and watched I was in awe of what was happening. 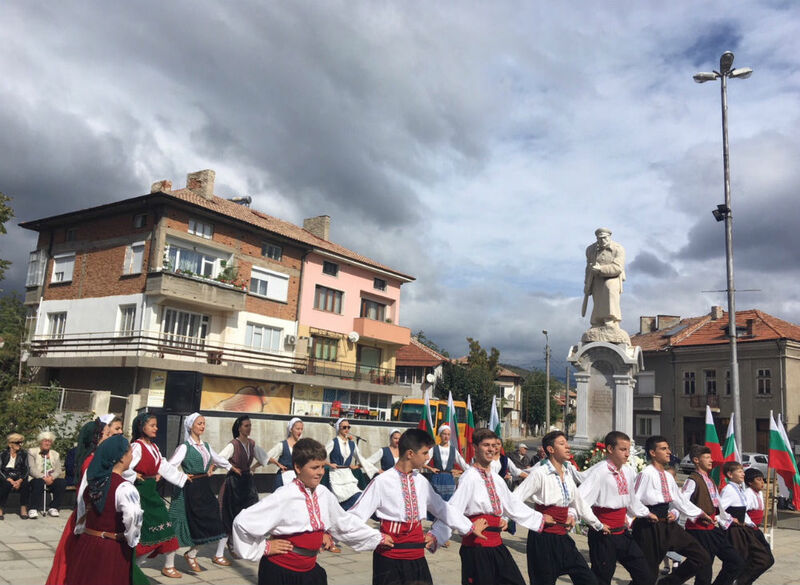 The statue, of a former Bulgarian liberator, hovered in the background, as a new generation was folk dancing in the town center to celebrate Bulgarian independence. The couple in the left-hand corner, who presumably experienced life in Bulgaria both during and after the communist era, watches on approvingly. How far have they seen Bulgaria come? How much farther will the smiling faces of these children see Bulgaria progress? This is Bulgaria. When I think of what I love most about Vidin, I think of this spot. The Danube River borders this city, reflecting the sun’s colors as it rises and sets each day. 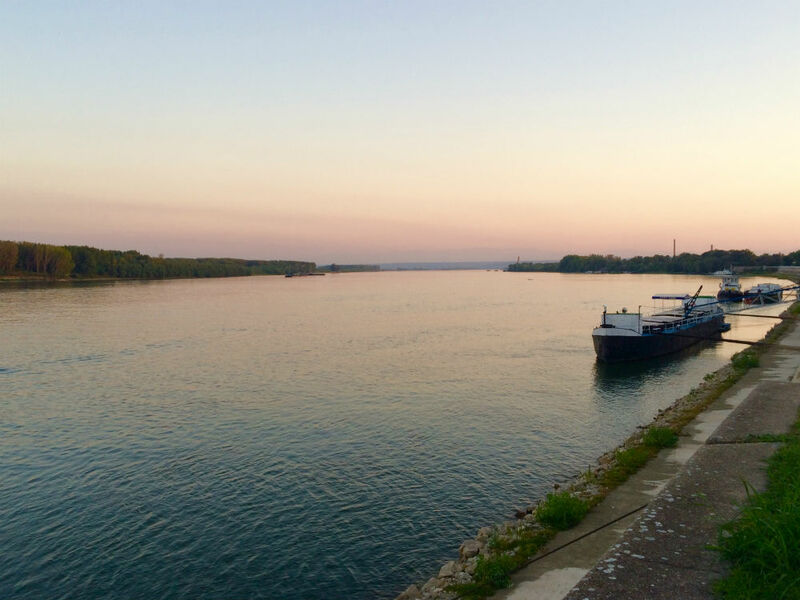 This spot is peaceful and poignant; the Danube flows all throughout Europe, but still chooses to include Vidin in its path. It reminds me that my city – although small, and nestled far up in Bulgaria’s northwest corner – is special nonetheless. And no matter what comes to pass during this year of ups and downs and new experiences, the river still flows at the end of every day. That’s my constant comfort. 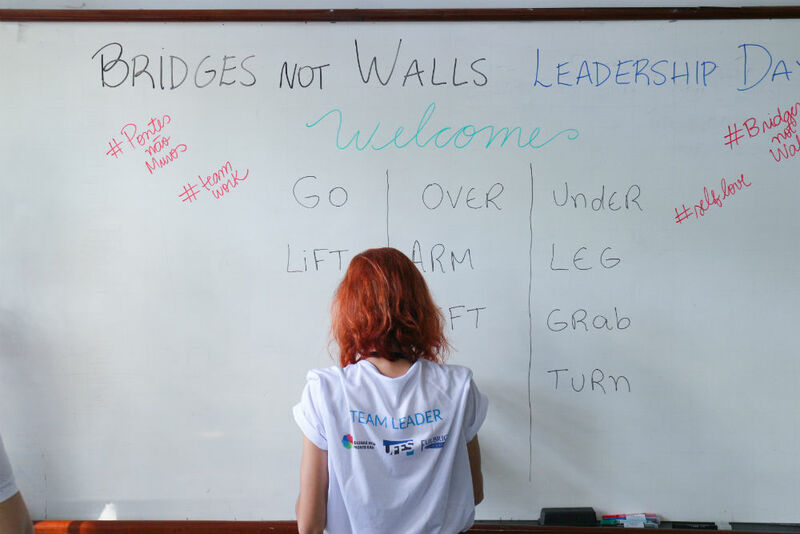 Bridges Not Walls is a leadership immersion program for public high school students in Vitória, Brazil hosted by the Federal University of Espirito Santo (UFES) through the Idiomas Sem Fronteiras and Fulbright English Teaching Assistants. The idea for this program originated from the collective goal, as U.S. Fulbrighters in a city with especially limited contact with Americans, to share our values – focusing on building ‘bridges’ of cross-cultural tolerance and acceptance rather than ‘walls’ of xenophobia and misunderstanding differences. My time in Korea has been filled with a constant stream of delightful mix-ups and faux pas, most of them my own, but all of them well intentioned. 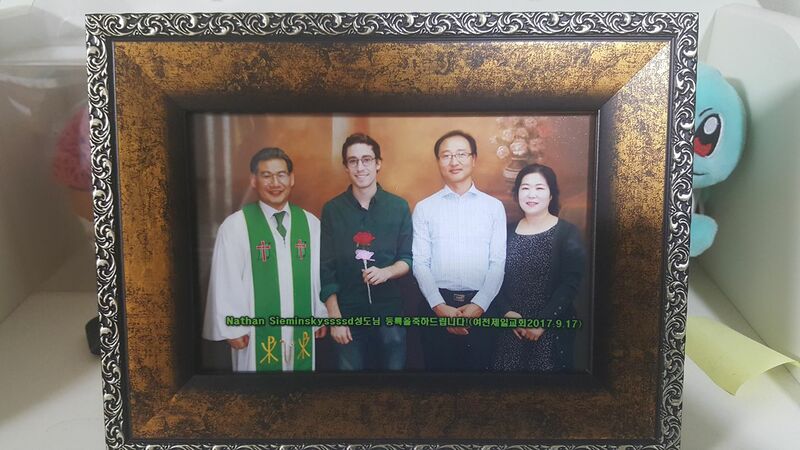 This photo was very kindly taken by my host family’s church. They presented a framed copy to me with much pomp and circumstance the next week. Never mind that it seems someone attempted to spell my last name only to fall asleep with their head on the “s” key. It’s when we embrace these mistakes and learn to laugh at them that this year becomes truly special. This is a group of men at an Independence Day ceremony in Gondanglegi, East Java, Indonesia. 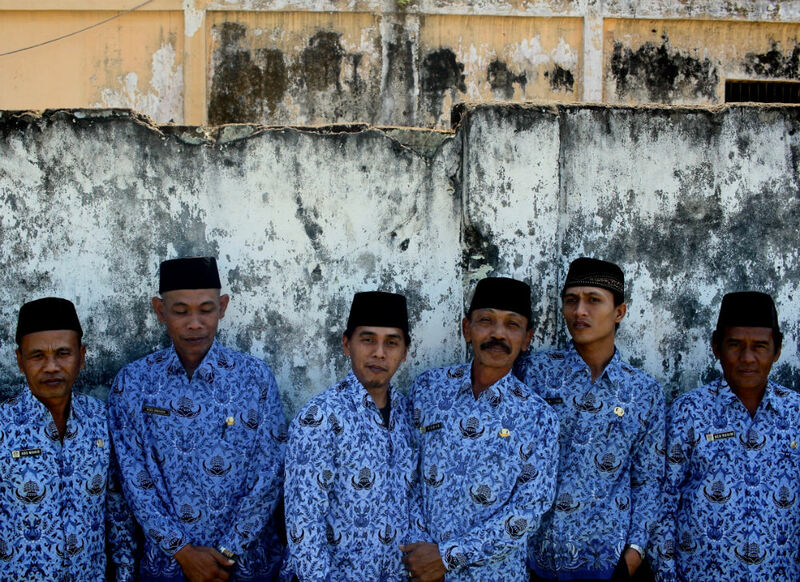 These bapaks (meaning father or mister; the honorific title for older men) are wearing shirts made from batik, the celebrated and ancient Indonesian tradition of dying clothes with wax. There are thousands of distinctive kinds of batik, all of varying designs, each representing something different and unique. This vibrant blue variation is the men’s school uniform. Batik is considered formal dress in Indonesia, so the most buttoned up events are often the most colorful. 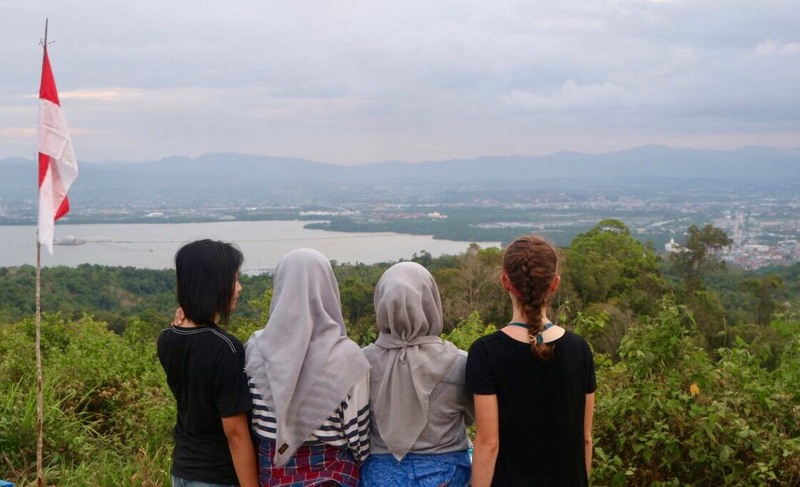 Overlooking the sleepy city of Kendari, Indonesia, I am reminded of the vast and complex identities within the community here. Tucked away from the ocean lies a community that exemplifies the spirit of Indonesian. It is within this city that one can find an array of Indonesians from many different identity groups. While the city itself is small, the unity rooted in the community, despite the religious and cultural diversity of its members, reminds me of what I find most interesting about this country. Lying below the surface of a small Indonesian city, tucked away from the vast ocean.